Just came back home from Berlin, where i've spent four nights from July 19th to 23rd. As always Berlin is full of nice surprises and good impressions. This time i didn't perform there, but came with a friend Ilona to visit some events. Thanks for super cheap bus prices at simpleexpress. 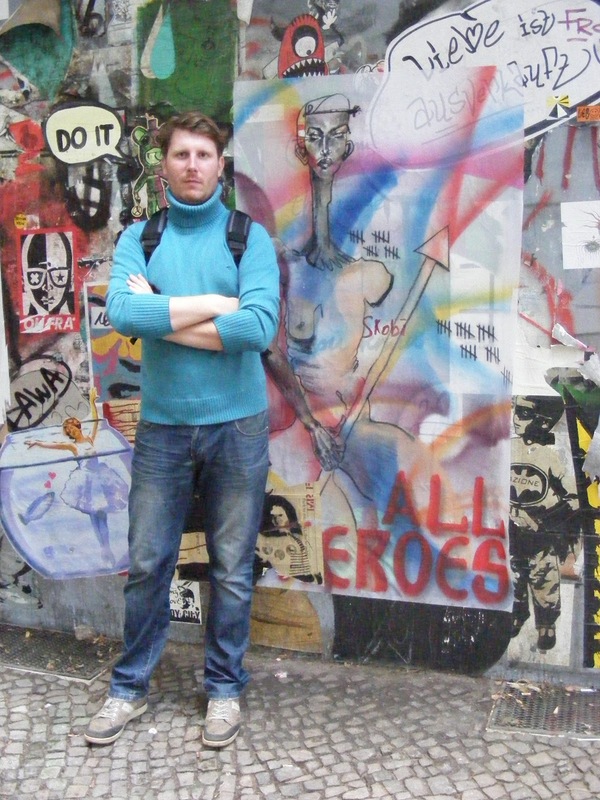 9 euros for Vilnius-Berlin-Vilnius is fantastic, so i do recommend you by all means! 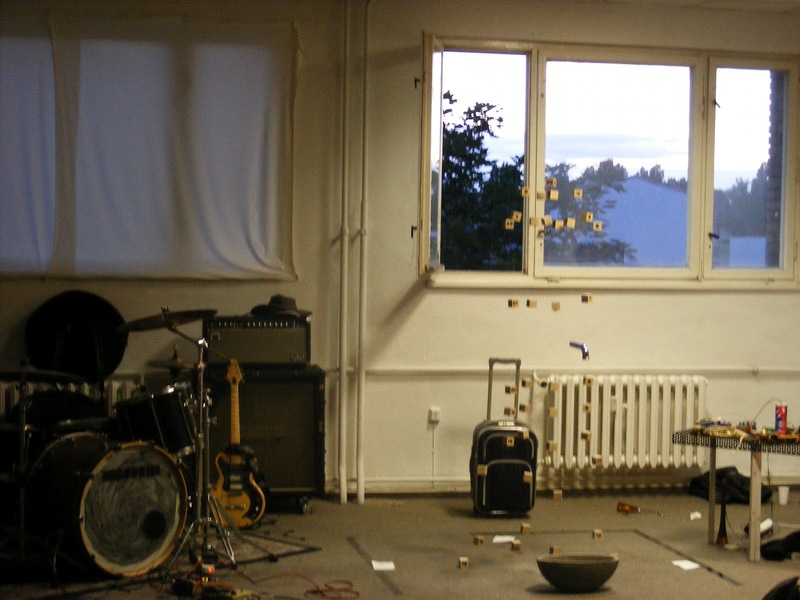 July 21th, Corpo 6 gallery in the industrial Berlins' district. 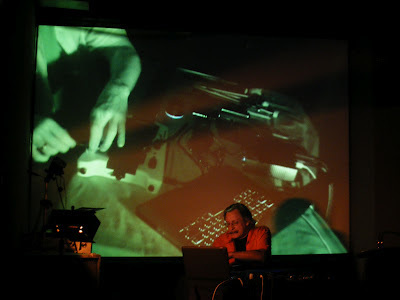 This event was more into darker electronic / post-industrial music. Among a few quite boring laptop artists, Angelanina was a great discovery and made this evening. More about the event. July 22th, event-party under the bridge in Neukolln area was probably the best sunny Sunday afternoon idea. 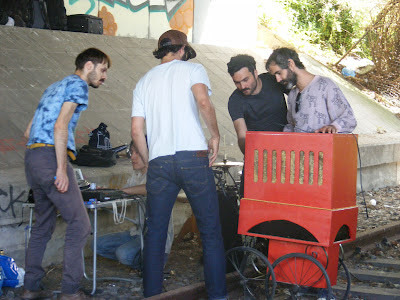 Someone brought a battery-PA and there were some 6 or more performances from nonsense noise to weird beat stuff and dj. In all - lots of fun, cool weirdos and the impression that only in Berlin such things can happen. In conclusion it was really positive time there and as always i'm up to come back. Special thanks to trip mate Ilona, Martin - the couch surf guy, Chris / Kakawaka and all the other people i met and all those venues, of course, which keep on doing good stuff.